The house is located 35 miles east of the La Serena airport and about 5 minutes from the town of Vicuña. 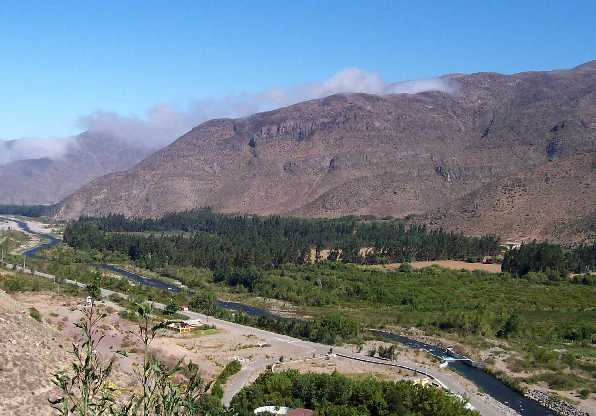 It's in the heart of the Elqui Valley, a 150-mile-long oasis surrounded by arid mountains that was featured by the New York Times as the fifth best place to go in 2015. The Valley stretches from the Pacific Ocean to the Argentine border and its ideal climate has made it Chile's premier vacation destination; sun worshippers love its average of over 300 sunny days a year, astronomy buffs come for its night sky, and New Age folks swear by its mystic energy. Come along for a virtual tour of this enchanting region!